Furnace Repair Calgary | Quick And Affordable | ADVANPRO Ltd.
One of the most stressful chores that a homeowner goes through is maintaining their furnace and dealing with furnace emergencies. Repairs and maintenance can be costly and finding a repair company that you can trust to make quality repairs the first time is challenging. We at Advanpro believe we can alleviate those fears and make repairing and maintaining your home furnace easy. Our well-trained and experienced technicians will first diagnose the cause of your issues and then report the findings to you with a recommended course of action, this includes a quote of overall repair costs. Our recommended solutions will identify the root cause of the issue and give you the understanding you need to make an educated decision. Our goal is to ensure your home comfort system runs reliably and efficiently for as long as possible. This approach is what has helped us build our reputation as a trustworthy and reliable provider of professional furnace repair ,furnace duct cleaning in Calgary and surrounding areas. We will recommend repair or replacement options which are in your best interest. We want to be the company that you and your family trust and can rely on for all of your home comfort needs. Call us when you need us, whether it’s repairs, furnace tune ups, duct cleaning air conditioning installation, furnace installation or humidifier installation we will be there to keep the clean air circulating in your home or business year-round. Our technicians are well-trained, seasoned professionals that will quickly diagnose the problem, give a course of action to correct the problem and will provide an estimate of costs for that problem, all before obligating you to any significant financial responsibility. Our goal is to give you the best advice to make sure that you have the best comfort provided by a well-functioning furnace, including telling you whether or not it would be best to repair or replace your unit. We guarantee that we offer the best customer service and highest quality service in Calgary and surrounding areas. We’ve been striving to be an industry leader in customer satisfaction since opening our doors in 2007, and it’s still the benchmark from which we set all of our success. Advanpro also offers emergency service: we are available 24 hours a day, seven days a week. You can trust us to be able to respond to any furnace emergency with the best technicians in the industry. Of course, part of the stress of servicing a furnace is trying to determine whether or not you need a professional to service it at all. We have a flat-rate of $69.95 for call-out and diagnosis, so getting a professional out to take a look won’t cost you an arm and a leg. We’re also able to offer troubleshooting over the phone, so we may be able to help solve your issue before even sending one of our trained technicians to your location! Our technicians can diagnose and effectively resolve a number of different symptoms in your furnace. WHEN SHOULD I CALL A PROFESSIONAL FOR FURNACE REPAIR? -If the furnace isn’t running. -If the furnace is working but hardly any heat is coming out. -If the ‘pilot-light’ won’t light, no matter how many times you try. -If the furnace turns on and off over and over again. -If the blower won’t stop running. -If the furnace is running noisily. HOW MUCH WILL MY FURNACE REPAIR COST? We charge a low $69.95 regular call-out & diagnosis fee during regular business hours. Final costs depend on the issues that we discover during the initial diagnosis. Once we locate the issue, we’ll explain and present your options. We will always provide you with a complete repair price for you to approve before going ahead with any work. We do offer simple troubleshooting over the phone if there is an emergency but we always recommend a certified technician for on-site inspection. Of course, one of the best ways to avoid major furnace repairs is to keep up with regular maintenance of your furnace. Here at Advanpro, we make it both cost effective and easy to ensure your furnace is regularly tuned up and maintained. The Advanpro Advantage Club is an industry leading maintenance program offering a regular furnace tune up, a supply of new furnace filters, discounted repair costs, as well as priority emergency call out service from just $8.95/month. 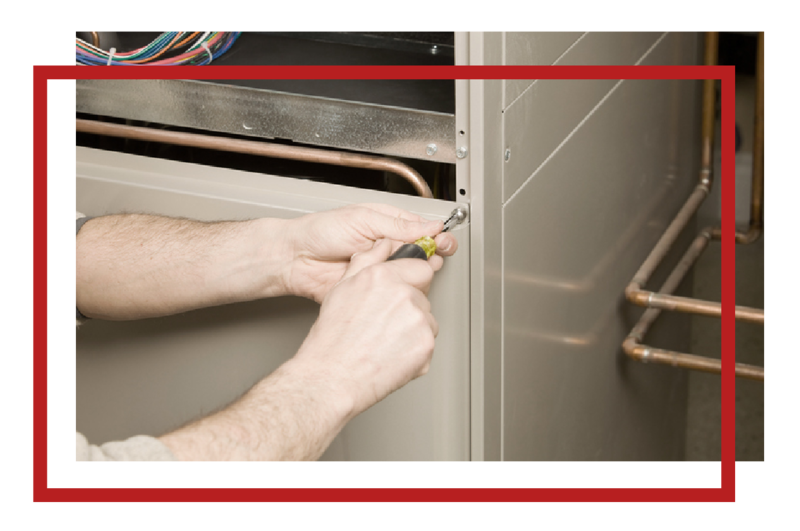 Regular maintenance of your furnace through membership in one of our maintenance plans will help detect problems before they cause significant damage or incur significant costs. We also offer Advanpro Advantage Club Memberships which include Furnace and Duct Cleaning. Regular Furnace and Duct Cleaning helps to resolves in home air quality issues and while also extending the life of your furnace. We know that through delivering great service we’ll create lifelong customers, so at Advanpro our goal is to deliver the most cost-effective, high-quality service you’ll find! Any of these problems should prompt you to contact a professional technician to prevent any problems from getting worse, causing permanent damage, or requiring that a unit to replaced instead of simply repaired. We know that you have a lot of choices when it comes to furnace maintenance. Building customer relationships based on trust is crucial to developing long-term relationships between ourselves and customers. It’s one of the reasons that we’ll attempt to solve the problem when you first call us before even sending out a technician to investigate. If the temperature has suddenly changed, you may have forgotten to turn the thermostat to “heat.” If it’s not on heat, it won’t blow warm air!. Also check the batteries in your thermostat. Make sure that your furnace is turned “on.” This is a power switch located on the furnace that can be turned on and off to disconnect the unit from power safely. If the furnace is turned off, it won’t power on! When was the last time you checked your furnace filter? This is an easy maintenance item and if neglected can stop your furnace from running. Be sure that you change it every three months to help keep your furnace running smoothly and the air in! When you call ADVANPRO for furnace repair in Calgary, you know that our technicians won’t stop working until they find the true cause of your system dysfunction or break down. We work around the clock to provide prompt repair even in emergency situations, and that includes weekends and holidays. We thoroughly examine your system to find all problems, fixing them in one convenient service call. To keep your system efficient and reduce the need for repair calls, talk to us about packages including routine furnace tune up and furnace cleaning. We can also help keep the air in your home or business clean with Advanpro Furnace cleaning Calgary. How Else Can Advanpro Help? Not only do we service furnaces, but we also provide a number of other services and products to help your home or business be as comfortable and as up-kept as possible. In addition to any furnace repairs, replacements, or regular maintenance, we also offer hot water tank installation and humidifier installation. We offer a broad enough range of services that we are almost certain to offer something in which you are interested or will need in the future, for residential properties and commercial properties alike. We would love the chance to prove that our customer service and quality of service is the absolute best in the Calgary and surrounding area! We’re just a phone call away if you need quick answers or are experiencing a furnace emergency. You can also send an email to inquire further about how specifically we can meet your needs. We look forward to hearing from you, and we’re excited to have you in our furnace care family!